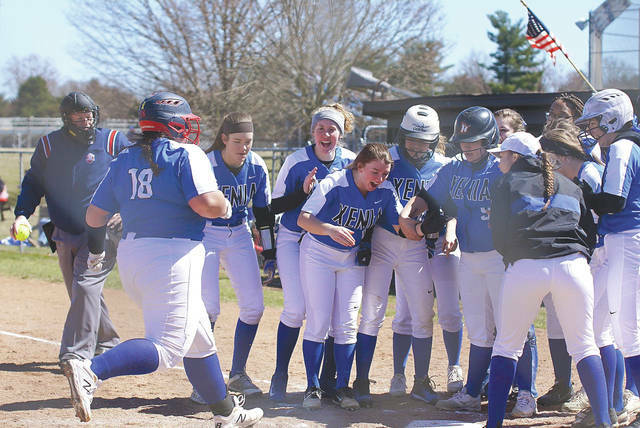 Members of the Xenia High School softball team greet Caity Moody at home plate after she hit a home run March 23 against visiting Pleasant Hill Newton. 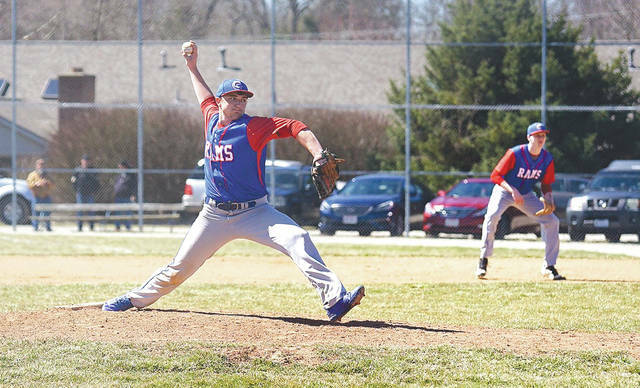 A Greeneview Rams pitcher delivers a strike during Saturday’s season opening contest against host Xenia High. Xenia senior Warren Mahar flies around third base to score in Saturday’s 11-1 season opening win over visiting Greeneview. A Buccaneers batter fouls off a pitch, March 23, in a high school softball doubleheader against Newton. Newton won one game by a 5-4 score; Xenia won the other in extra innings 10-9. 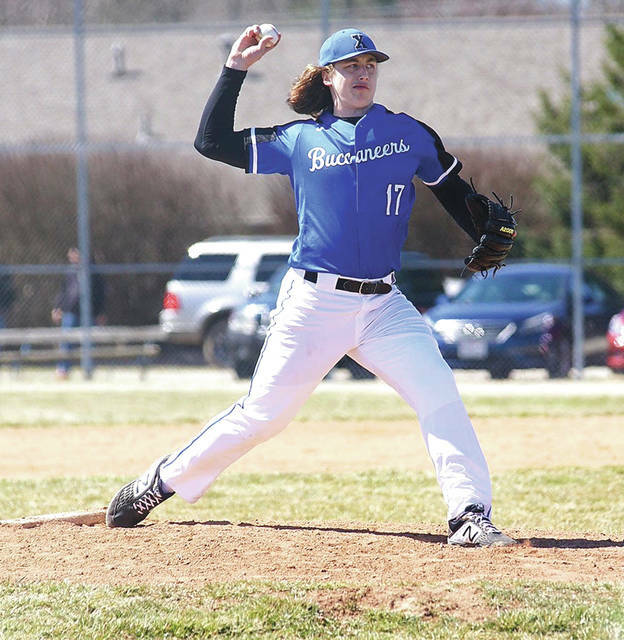 Alex Sparks delivers a pitch to a Greeneview batter, March 23 in the Xenia Buccaneers’ 2019 home opener. 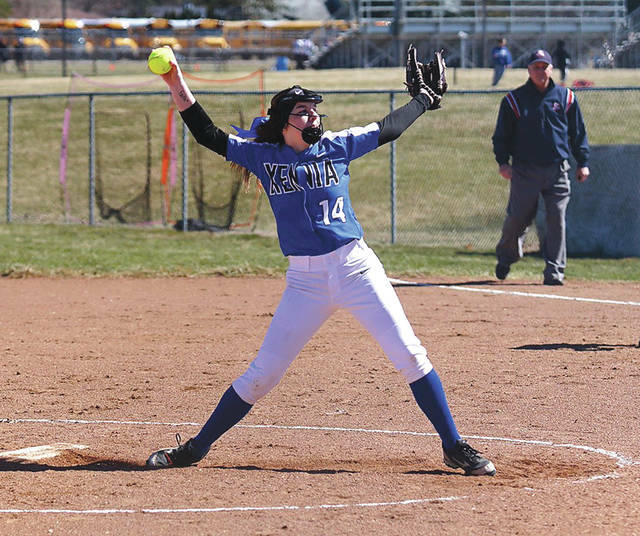 With the umpire looking on, Xenia’s Bailey Oliver unwinds a pitch during a March 23 doubleheader with visiting Newton. 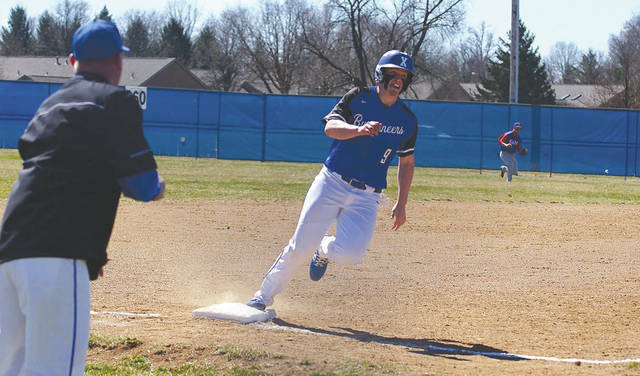 XENIA — Xenia High School’s baseball and softball teams opened their respective 2019 seasons with home contests on March 23. 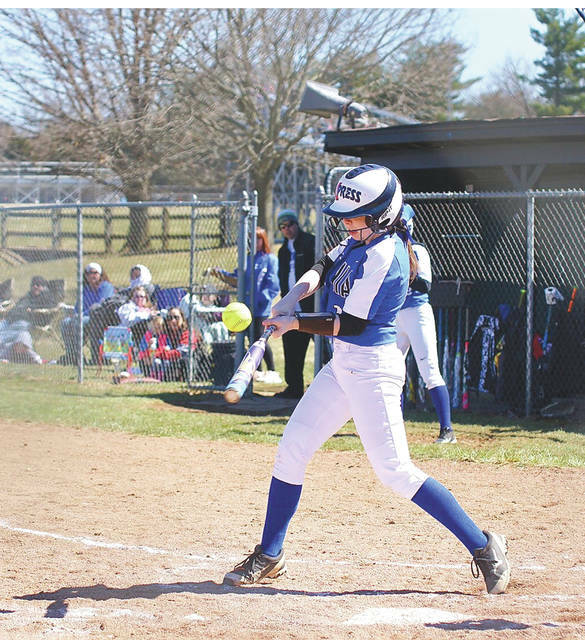 The Buccaneers softball team split a doubleheader with visiting Pleasant Hill Newton, while the baseball Bucs claimed an 11-1 win over visiting Greeneview.